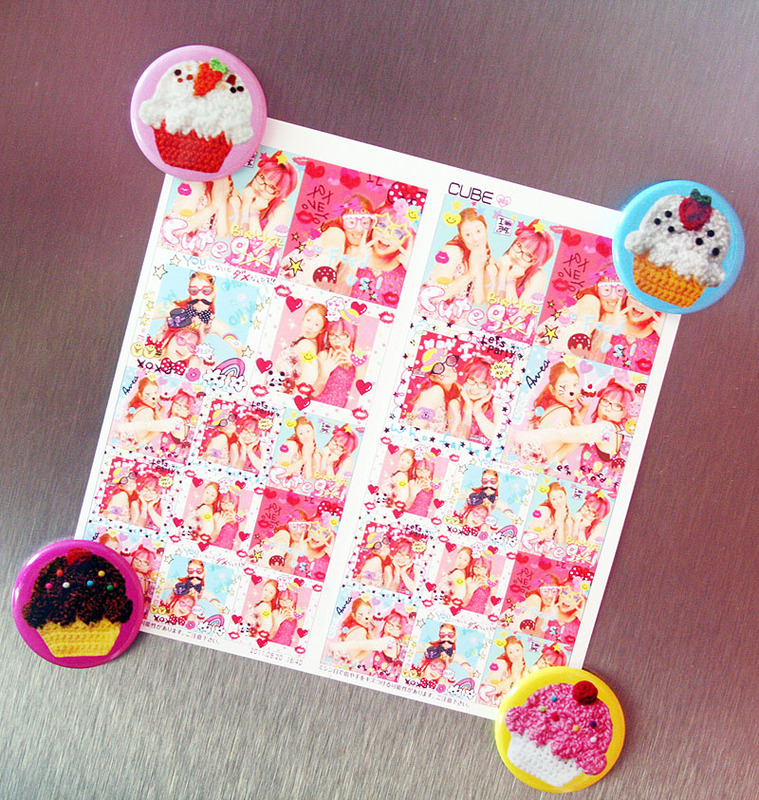 I know these magnet sets may look familiar to those of you have been following along for a while, but this is the first time we have had them available in our shop! 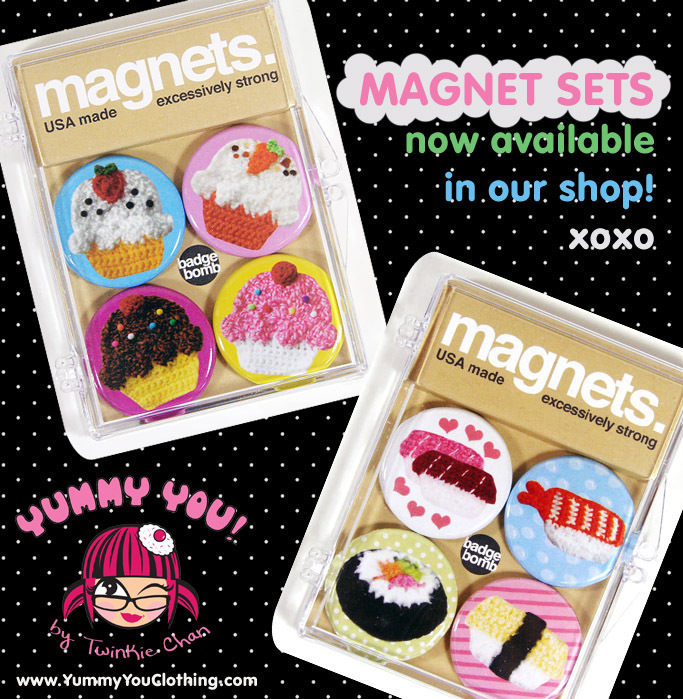 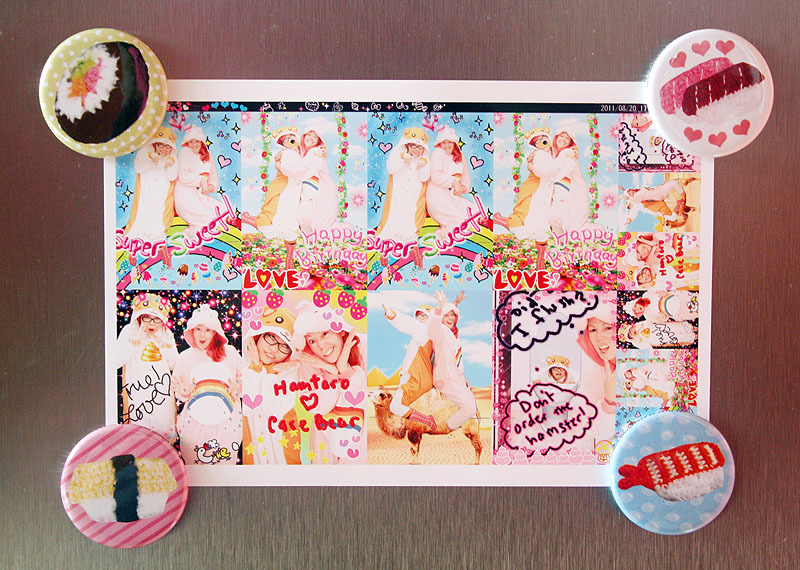 Each set – Cupcakes or Sushi – comes with 4 super strong magnets, depicting photos of my crochet foods! 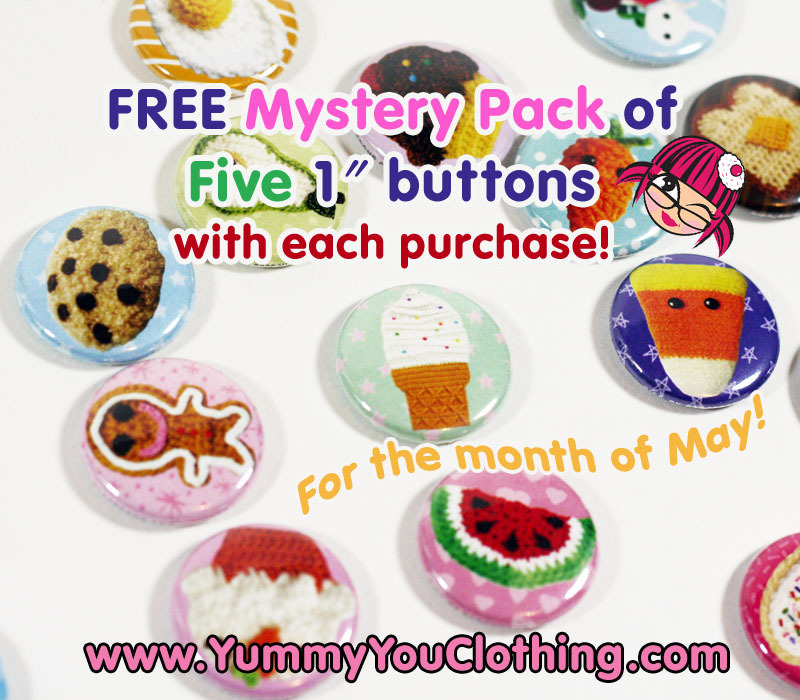 Also, for the month of May, we are including a mystery pack of 5 free 1″ buttons in every order!